India’s retail market stands at a whooping worth of around $630 billion. This huge retail market runs on the back of its manpower and contributes to the economy both through the creation of jobs as well as through bringing in revenue and growth. The retail firms generally don’t have enough time to shortlist and recruit their manpower considering their engagements in business development and growth activities. To recruit retail executives for their business they require the help of retail executive recruiters or retail executive search firms that can provide them effective and efficient staffing solution for their business needs. These retail executive recruiters act as a mid-block in the chain that links the firms with their desired manpower. Considering the importance of retail executive in running and managing the retail business at a brick and mortar store it is necessary that quick processing in terms of staffing them is ensured. A retail executive recruiter is tasked with providing capable manpower for various domains of retail business like lifestyle, food chain, superstores, entertainment etc. They analyze the profile of a number of candidates and test them on parameters that are required to get recruited as a retail executive in the given firm. Retail executive recruiters operate through their search firms. These retail executive search firms interact and manage a database of both job seekers and recruiters. They engage with both the parties effectively and try to match the requirement of recruiters with that of the qualification and skill set profile of the job seeker. For instance suppose a requirement for Retail store executive is listed by a recruiter to a respective retail executive search firm. The search firm would now check its database of candidates (out of CV’s it has received) and would try to find out the suitable matches for the job. They would hold the first round of screening for shortlisted candidates and they would fix the interview of the candidate at recruiter’s location. In this way, the recruiter is saved of the task of shortlisting and screening while the job seeker is saved from wandering and searching for his desired job. Alliance International is a well-known name in the domain of retail executive recruitments. With its vast experience and global servicing network Alliance has been offering quality manpower solutions to its clients. Good understanding of retail business and the ability to perform in a time-bound and dedicated manner makes Alliance stand apart from other retail executive search firms. No cost is borne by Job seekers when they engage with Alliance. Huge internal database of job seekers. Philosophy of working with client-centric attitude. Experience of serving firms across the globe. Fast processing of clients request. If you are a job seeker and are looking for a job in the domain of retail sales/marketing then you can register yourself on our official website that is www.alliancerecruitmentagency.com. You would be getting updates and information regarding any latest job opening (that suits your profile) on your registered mail post completion of registration process. 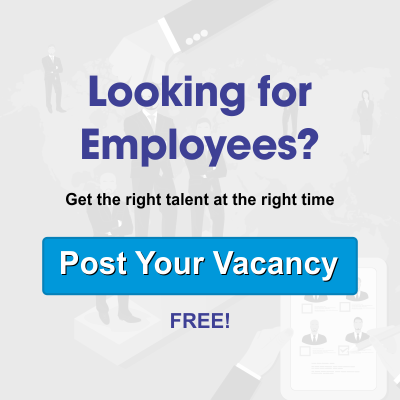 In case you are a recruiter and looking for some effective staffing solution for your organization then you can submit your inquiry by clicking on the ‘send inquiry’ button on our website. Our team would contact and answer your inquiry in detail. Job seekers can also apply for offshore job opportunities after registering with us. The listing of new vacancies in respective domains would be highlighted on our website as well (apart from the emails that registered candidates would receive).